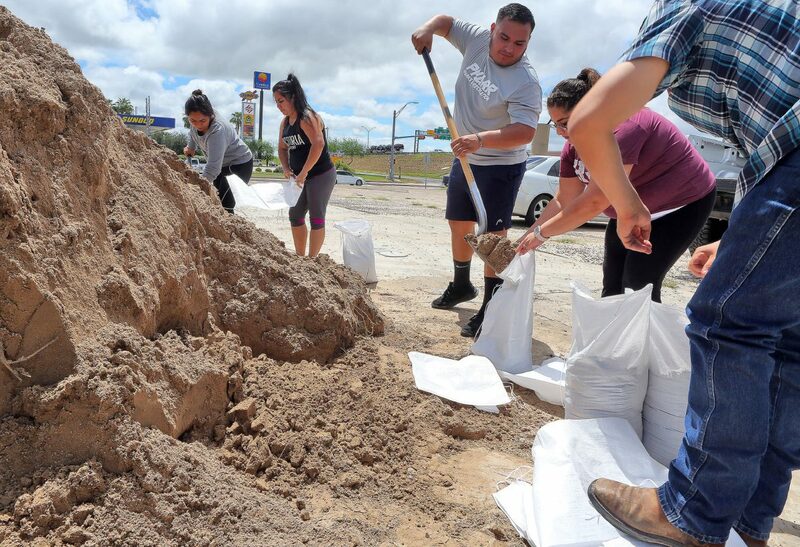 Residents prepare sandbags at the Pharr Events Center Tuesday, Sept. 11, 2018, in Pharr. As the nation’s attention is on Hurricane Florence barreling toward the Carolinas, a storm approaching the Texas Gulf Coast has local emergency management officials preparing for the potential tropical system. Invest 95L, a designation for tropical weather systems meriting inquiry, is entering the Gulf from the Caribbean Sea with a 70 percent chance of organizing into a tropical cyclone within the next five days, according to the National Weather Service at Brownsville. “Right now, there are a lot of unknowns,” said Barry Goldsmith, warning coordination meteorologist with the NWS at Brownsville, adding the team will know more about the storm and its projected path by Wednesday afternoon. A vehicle makes its way through the flooding in front of Elias Longoria Sr. Middle School Tuesday, Sept. 11, 2018, in Edinburg. 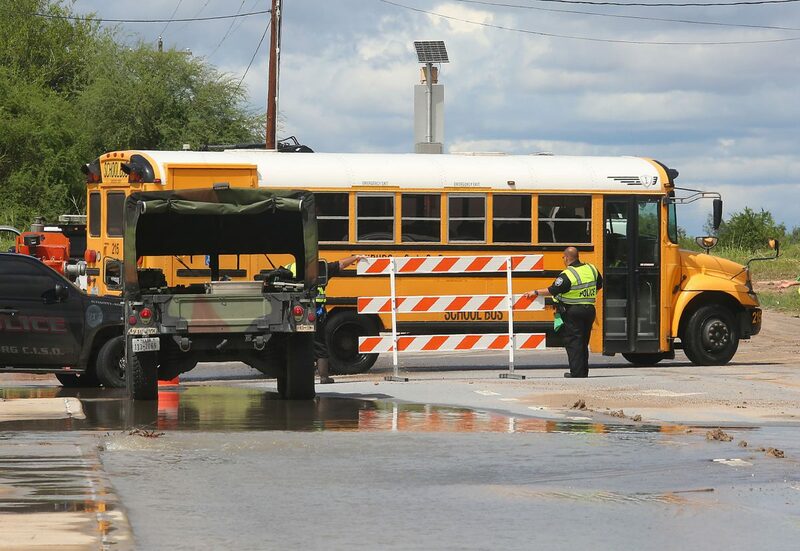 An Edinburg CISD school bus moves through a flooded street, leaving Elias Longoria Sr. Middle School after school Tuesday, Sept. 11, 2018, in Edinburg. 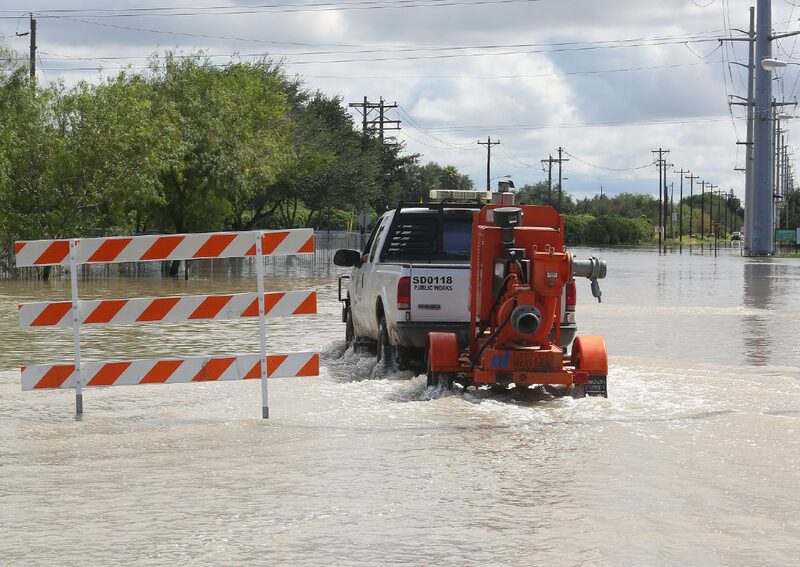 A city of McAllen truck moves a water pump through flooded streets in front of Elias Longoria Sr. Middle School Tuesday, Sept. 11, 2018, in Edinburg. While Goldsmith cautions it’s too early to tell, current models forecast a depression on the high end to “an open wave,” on the low end. After parts of the Rio Grande Valley were hit with nearly 18 inches of rain over the last two days, according to Saldaña — providing a much-needed offering to Falcon reservoir and answering the prayers of ranchers of the plains — the state’s saturated soil leaves communities vulnerable to a storm. “If this storm comes in and impacts us, there’s nowhere the water is going to go other than flow into our ditches or drainage system,” Saldaña said of the soaked earth. Flooding plagues some neighborhoods, evident by the sitting water last June requiring the evacuation of hundreds across the Valley. 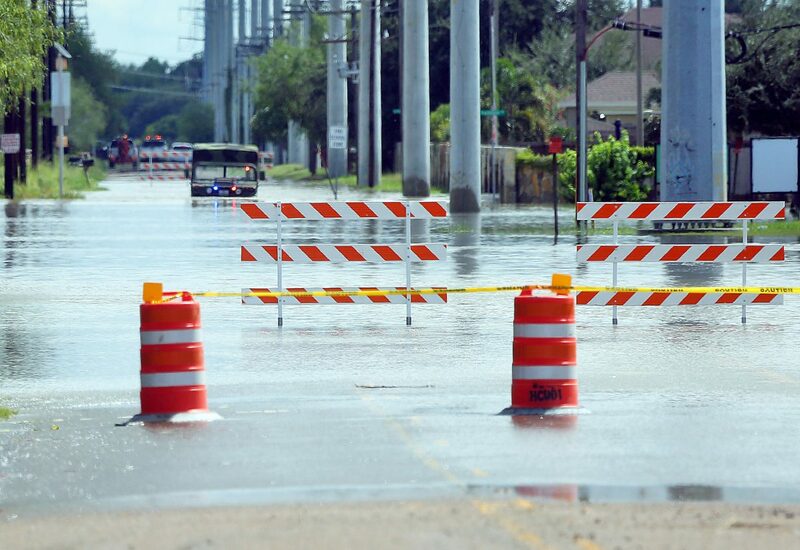 Hidalgo, Cameron and Willacy were included in a flash flood watch remaining in effect through 7 a.m. Wednesday, as parts of Hidalgo County, such as Edinburg, still had sitting water. That would be good news for Hidalgo County, but the Valley would still see rain, he said. According to Goldsmith, the Valley should expect rain Thursday night into Friday night, possibly into Saturday. “But if it’s just scattered to isolated showers and storms, that can be handled by our soil instead of having a big dump of rain,” Goldsmith said. Government officials aren’t waiting for the forecast, including cities and precincts already distributing sandbags through the week. Saldaña remembers how quickly things can change. Hurricane Harvey, which devastated the Texas coastline last year, had the Valley in his sights, he recalled. “We were spared, but on Monday it was a direct hit,” Saldaña said. Hidalgo County is coordinating with the state, precincts and municipalities. They’ve requested pre-deployed assesses, including water pumps. Saldaña said they’ve begun building a resource list for high-profile vehicles. “We want to be ready in case we have to rescue people out of our neighborhoods,” he said, referring to the rain event in June that drenched the Valley and prompted President Donald Trump to issue a disaster declaration for the region. Saldaña said they’ve already met with the American Red Cross to start a sheltering plan along with municipal partners and school districts within each community. Schools are now in use, which is another logistical consideration. Saldaña suggested residents have three to seven days worth of food, water, clothing, cash and hygiene products. Also consider formula and diapers for small children, along with toys and color books to occupy kids, whether they’d evaluate or during a potential power loss. Fill vehicles with fuel, and plan for pets and to secure their homes, he said. Pick up from your property any loose items that could become a projectile in high winds and trim tree limbs that could damage your roof, he suggested. Cover already leaky-roofs with tarps. Goldsmith reminded this is why they stress hurricane preparedness in the spring.